Health care and services available to women in Cambodia are among the poorest in Asia. 85% of women face challenges gaining access to medical care and 90% of women over age 14 suffer from undiagnosed gynaecological infections, cysts or cancers. The hospital will operate a program designed to improve the understanding of women’s health issues and facilitate women’s access to treatment that is not usually accessible or affordable for them. At present, services such as specialised oncology are simply not available for many Cambodian women, leaving them with no choice but to wait for death. Primary objective is to provide quality care and compassion for any woman who enters into the programme. Payment for treatment will start from a single dollar for the poorest patients, to international rates for those who can afford it. 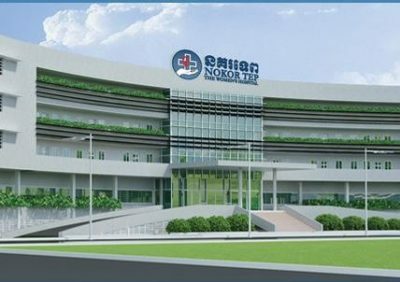 From its central facility in Phnom Penh, the hospital will offer outreach services nationwide through mobile clinics for screening, providing treatments for minor ailments, and preventive health care education. More severe medical cases will be transferred to the hospital for treatment. The hospital will have a research unit for studies of the illnesses affecting women in Cambodia.